Martial Arts is about so much more than punching & kicking. It’s the most effective path to all-round personal development. I’m sure if you asked any parent who’d enrolled their children in a martial arts class what they were hoping to gain from their membership it’s pretty unlikely they’d say they wanted them to learn to fight. It’s all about the many other benefits, including focus, self-discipline, respect for them self and for others, confidence, assertiveness and so much more. 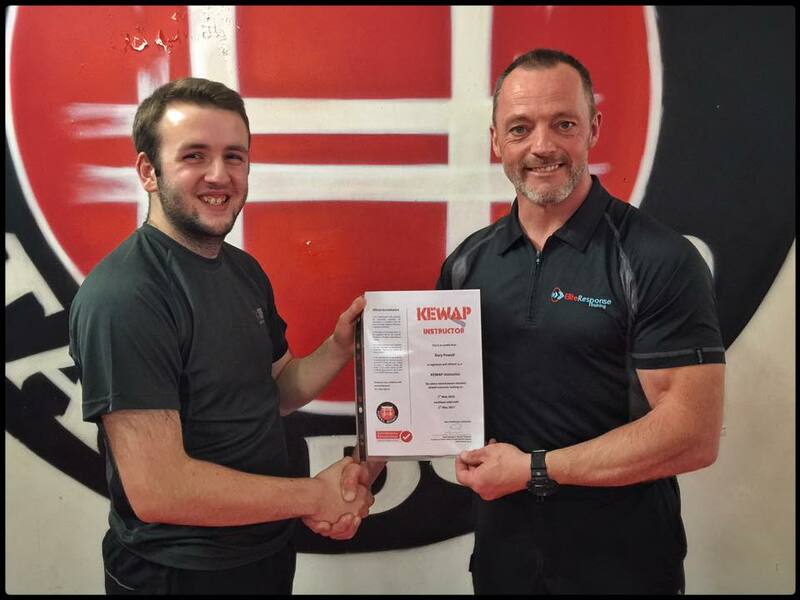 Here’s a great example of two young lads who’ve been with us for a few years now. 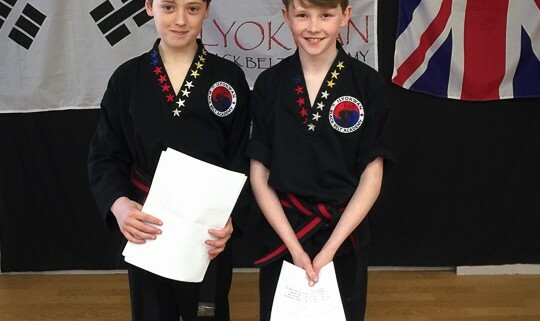 Jack and Thomas and are now approaching their black belt examination next month. When they joined us they were both pretty quiet kids who’d barely say ‘boo’ to a goose, and yet this week they stood up in front of their whole school to give a presentation about their martial arts. There were probably 150 people in the room so that’s a pretty nerve-wracking thing for anyone to do, but they absolutely rocked it and got a fantastic response from both students and teachers alike.. 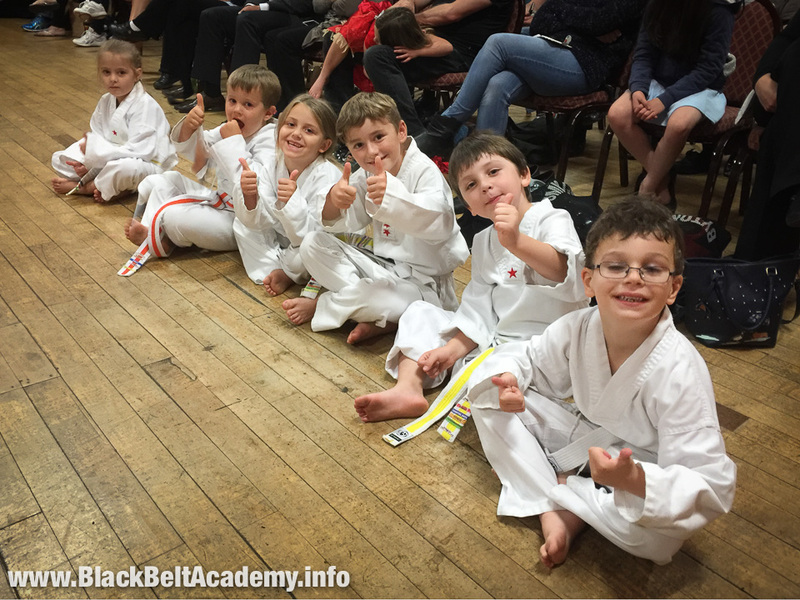 Given the number of adults who’d tell you their biggest fear is public speaking, you can imagine how proud we are to see the confidence these boys have developed through their training at the Black Belt Academy! A lovely picture and your words above are very true. 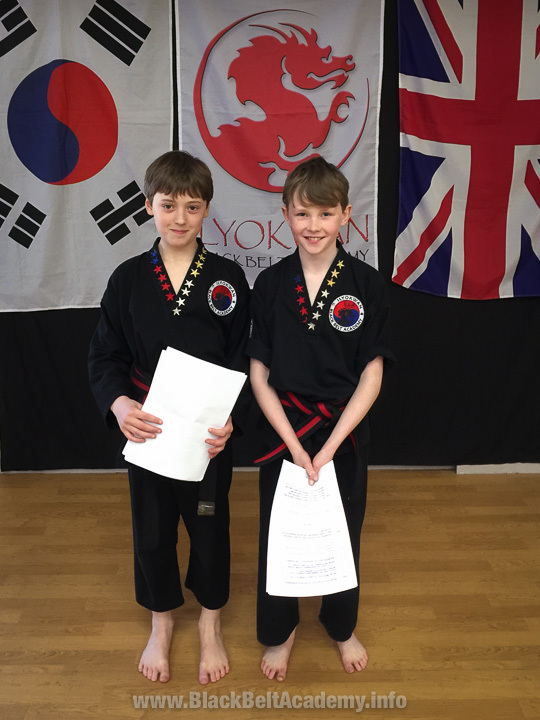 The boys have learnt so many skills in the lead up to their black belt all of which they will take forward into their school life and beyond. Although the journey so far has been tough we are so glad we met Richard Olpin at a fair in Dursley and signed Tom up all those years ago! http://www.blackbeltacademy.info/wp/wp-content/uploads/2016/02/Jack-Tom-2859.jpg 720 540 admin http://www.blackbeltacademy.info/wp/wp-content/uploads/2013/04/website-banner.png admin2016-02-24 18:00:222016-03-04 16:33:00Confidence is King! Well, we’ve had a fantastic year at the Academy, and I’d like to take a moment to thank everyone for their support over the past 12 months. 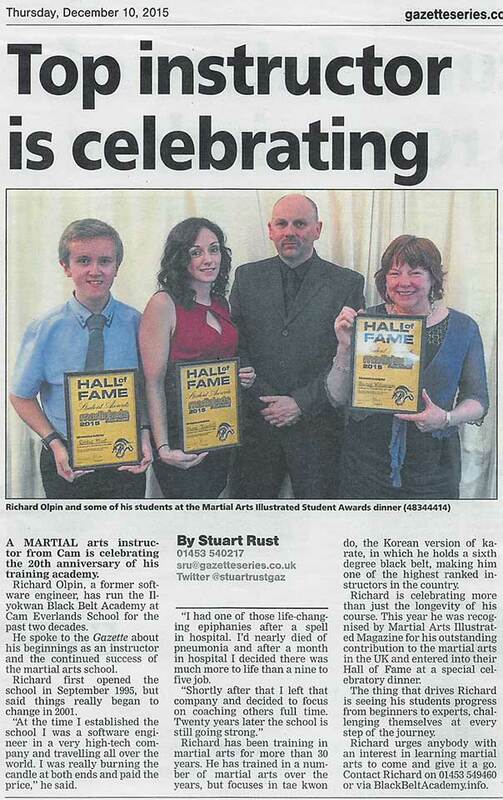 In May our Chief Instructor Master Olpin was awarded a ‘Gold Award’ from Martial Arts Illustrated magazine and inducted into their prestigious Hall of Fame. 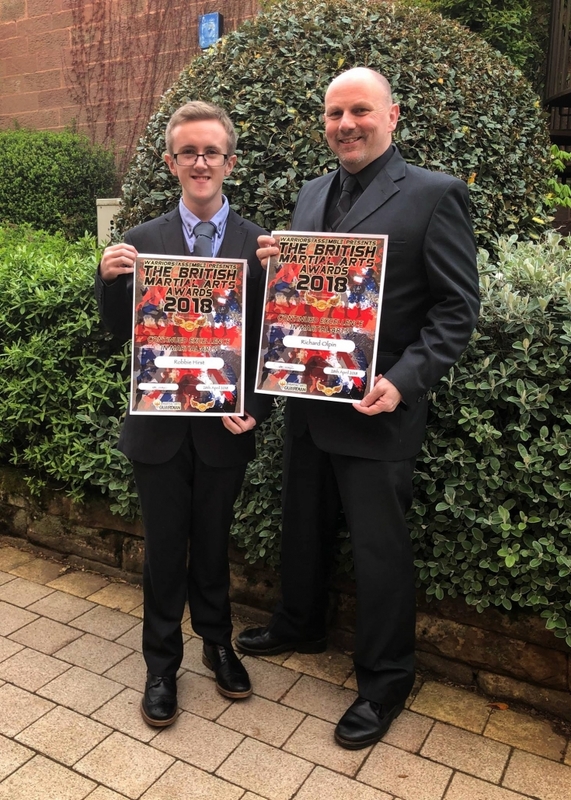 Then,in July three of our top students to be recognised at the National Student Awards, including our two assistant instructors Mr Hirst and Mrs Williamson and our first ever Black Belt, Shona Thornhill. Mr Hirst was also recognised at the ‘Warriors Assemble – The Fighting Spirit Awards‘ awards in October for his outstanding dedication to the arts in spite of his brittle bones. 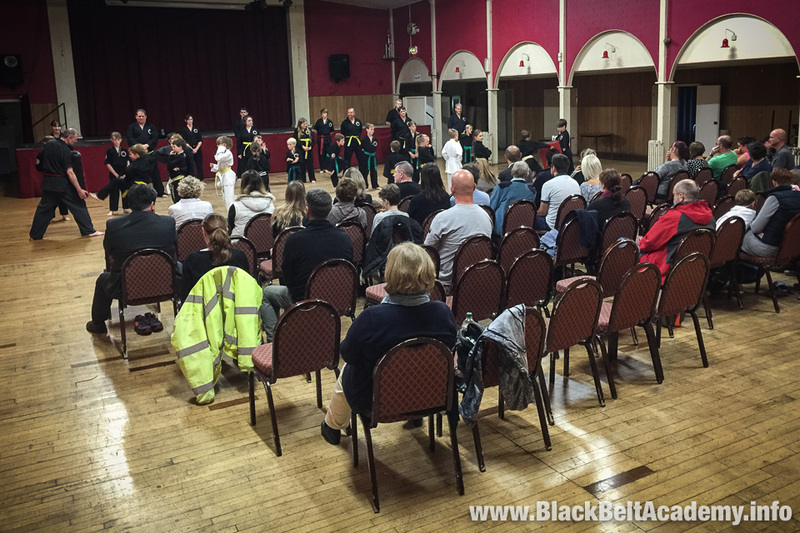 We’ve also seen three new Black Belt promotions too, Mr Knott and Mr Powell attaining their first degree and Mrs Williamson promoted to third degree black belt.